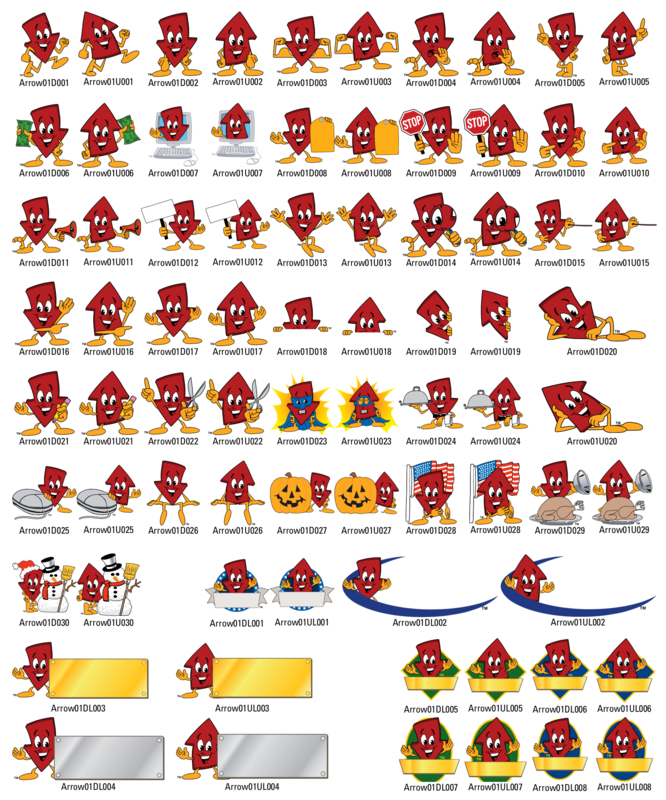 E-mail info@mascotjunction.com if you are interested in buying this clip art set, or call 186-916-1377. Price is $250. All images included in high and low resolution formats. The red arrow cartoon character comes in a variety of poses, pointing both up and down. A perfect mascot for many businesses that want to celebrate low prices or high value.